So tune-in for sure on our Hindi Radio Show, Chat and Chai on MeraSangeet Gold on Friday, 23June, at 9 AM, 11 AM , 2 PM , 5 pm and 8 PM -ET ! 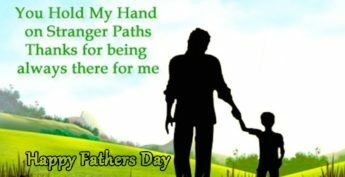 Team MeraSangeet wishes all our listeners' a very Happy Father's Day ! Stay blessed! So, catch the conversation for sure,today, on our Hindi Radio Show, Chat and Chai on MeraSangeet Gold ! As we talk with the wonderful Actress, Salma Agha ji, you will relish each moment….from then to now…. So tune-in for sure on our Hindi Radio Chat and Chai on MeraSangeet Gold, today, 09June ! Do tune -in for sure on our Hindi Radio Show, Chat and Chai, this Tuesday, 30 May on MeraSangeet Gold. He also talks about his co-actor Taapsee Pannu ..and much more..
Tune-in for sure today on oir Hindi Radio Show at 9 AM, 11 AM , 2 PM , 5 pm and 8 PM -ET, today!